Negative Thoughts Ruining Your Happiness? Here’s the Good News! What’s your biggest barrier to being peaceful and happy? 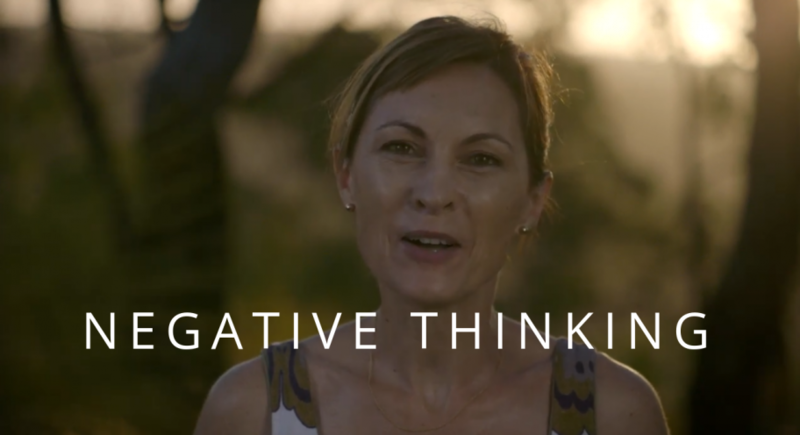 If you believe it’s your own negative thoughts, then I have good news for you! As people sign up to join the free video series that I’m running, in the email that I send to them, I ask, “What’s your biggest barrier is to feeling peaceful and happy?” One of the most common answers that comes up time and again, is “overthinking” or “negative thinking”. If you can relate to this, I want to give you some really big encouragement! First, you’re not alone, and you’re completely normal. In fact, research tells us that we have about 70,000 thoughts a day. And of those, most of them are negative. But even better, is that it doesn’t have to stay that way! Neuroscience tells us that our brains have called “plasticity” and that means they can change. We can absolutely build new neuro pathways in our brain. In other words, we can change old habits and old patterns of thinking. The third and final piece of good news for you, is that if you recognise that you have negative thoughts, and you’re realise it’s your thoughts that that are the problem, you are already a long way towards making positive change. When we believe that the problem lies outside of us, then we’re absolutely powerless to do anything about it. We have an internal battle against what’s happening, but can’t do much to change other people’s behaviour or our external circumstances. Understanding that it’s our thoughts that are cause our suffering, rather than our circumstances, is the first step to realising you have the power within you. This is SUCH a big step towards claiming back your happiness and inner-peace. In my free video series on How to Be Calm, Happy and Love Your Life, Even When Life Gets Tough, I’m going to be sharing a lot of practical tools and tips, strategies and wisdom. There’s so much that I have packed into this video series, so don’t miss it! Click here to sign up for the free video series and I will be sharing it with you very soon. If you enjoyed this video, please share it. You can also sign up for more free resources and videos at http://kellyhine.com/. ← Love Yourself. The World Needs It. 9 Responses to Negative Thoughts Ruining Your Happiness? Here’s the Good News! Just joined up for your free videos. Always read your emails and watch your videos and find they all make such sence as I am a born worrier. Hi Sue, I’m really glad to hear the videos are helpful and trust you’ll get a lot out of the series – thanks for joining! I’m one of the lucky ones I recognise my negative thoughts but I don’t know how to deal with it. My biggest barrier is overthinking.I always think if this happened then I’ll be happy. Then I worry about my health. Is this something all elderly people do, or is it just me. Hi Maggie, it’s really common – you’re definitely not alone. Stay with me, I think you’ll get a lot out of the video series that’s starting soon.